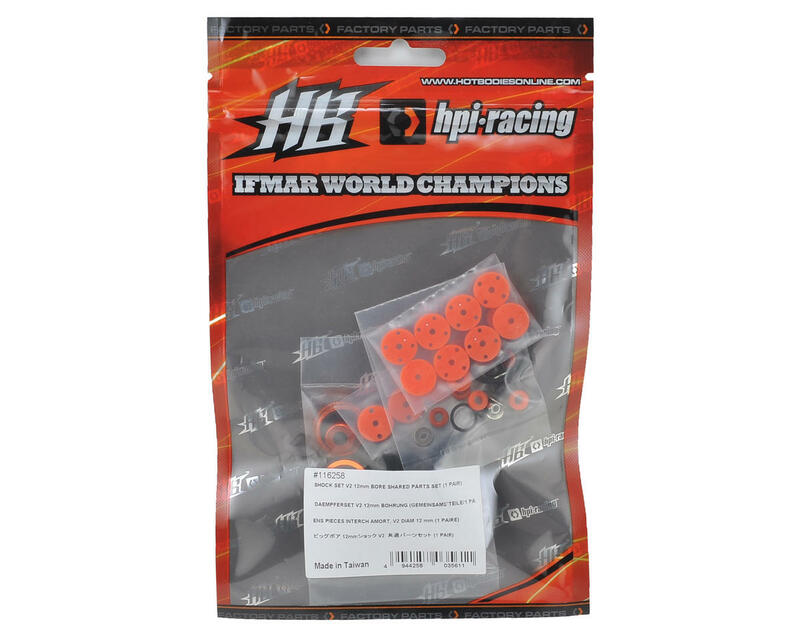 Hot Bodies D216 12mm Bore V2 Shock Parts Set. These are replacement shock parts used with the D216 12mm V2 shocks. 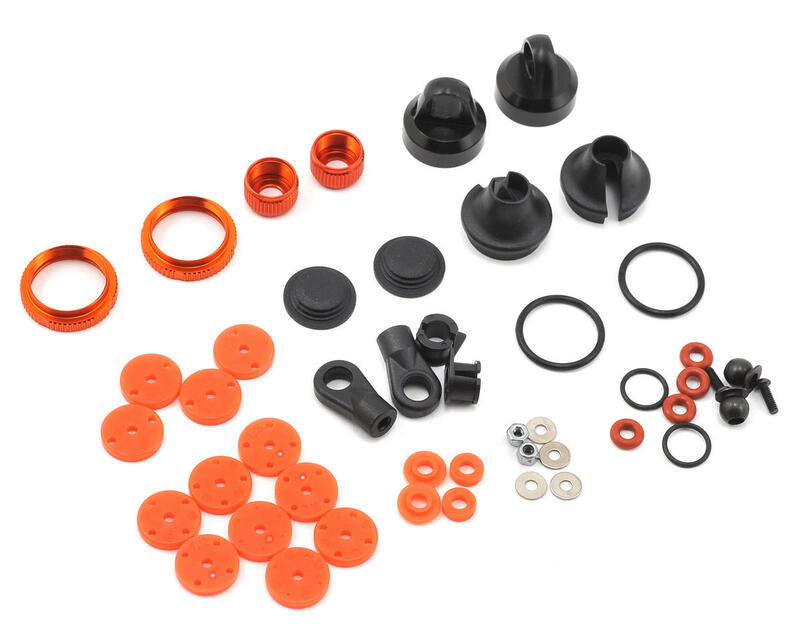 Package includes shock caps, preload collars, pistons, bladders, hardware and o-rings.